The Lay Coordinating Committee issued a call for a third march on Sunday, February 25th. The march was organized in the same fashion as the previous two marches on December 31, 2017 and January 21, 2018, whereby attendees went to mass and demonstrated after church. The committee's demands remained consistent - For Kabila to declare that he would not run for a third term and that he would adhere to key elements of the December 31, 2016 Saint Sylvestre Agreement, which called for actions such as the expansion of political space, release of political prisoners, cessation of arbitrarily arrests and the return of exiled leaders. Prior to Sunday's march, there was a great deal of international attention and moral pressure exerted on the Kabila regime. Members of the US Congress and foreign affairs offices of the U.S., U.K. and E.U. issued statements calling on the Kabila regime to avoid using lethal force on demonstrates and allowing them to march freely and peacefully. Keenly aware of the increased attention generated by its repression of peaceful marchers, the regime adjusted its tactics in form but not in substance. 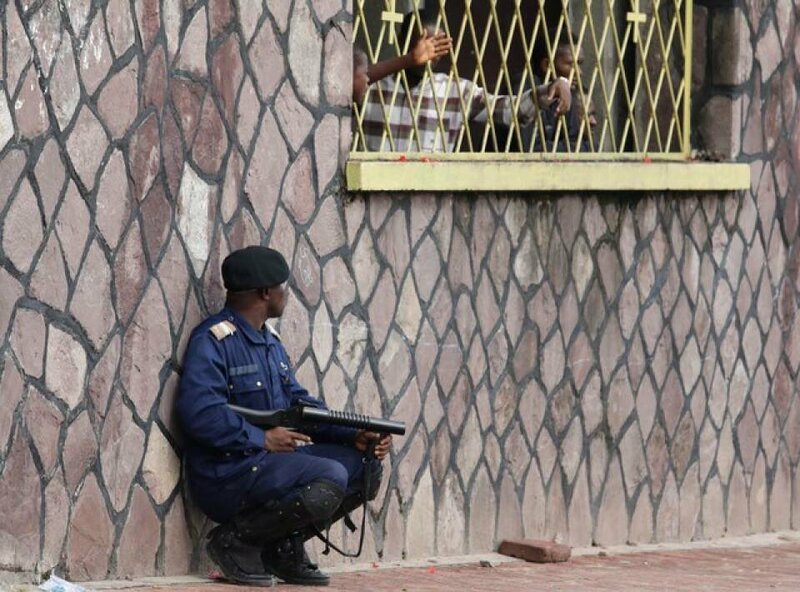 On Saturday, February 24th, the night prior to the march, the youth wing of Joseph Kabila's political party, the Peoples Party for Reconstruction and Development (PPRD) attempted to occupy one of the main churches in the Lingwala neighborhood of Kinshasa, the capital of the DR Congo. The PPRD youth claimed they were coming into the churches to arrest the priests and pass them over to the police. Youth from the Lingwala neighborhood led by Quatrieme Voie members mobilized to protect the members of the church from the Kabila regime's goons in red berets. Unfortunately, the day of the March was another bloody affair. Police officers literally staked out churches commando-style as if they were in pursuit of well armed enemy combatants (see below photo). 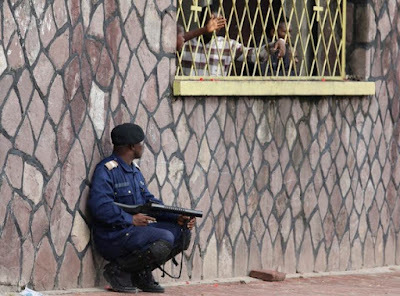 According to the Lay Coordinating Committee, dozens were injured and arrested and at least three people were killed by Kabila's security forces. 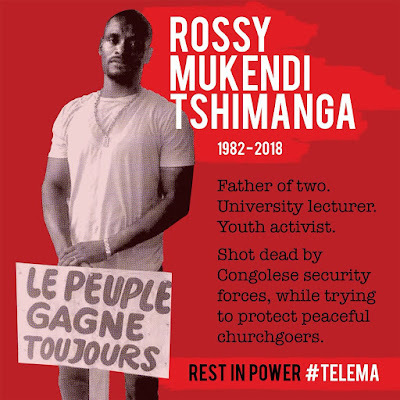 Most notably, youth activist Rossy Mukendi of activist group "Collectif 2016" succumbed to the bullet of a Congolese police officer. his death has touched the activist community deeply (see below photo). In spite of the brutal repression from the Kabila regime, the resolve of the Committee is as strong as ever. In a communique issued the day of the march, the committee warned the Kabila regime that there will be no let up on the regime as long as the people is denied their dignity and liberty. Let us not let up either. Click here to sign the petition demanding justice for the victims of the Kabila regime.